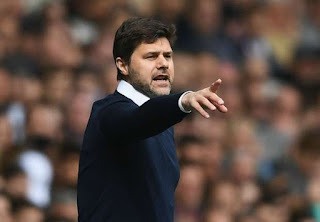 Tottenham Hotspur manager, Mauricio Pochettino has revealed that he would never coach Barcelona. Pochettino spent the majority of his playing career with Espanyol, before coaching Los Periquitos for three years after he had hung up his boots. The Tottenham gaffer was linked with a move to coach the Catalan club during the last transfer window. He has now said, “I always try to be honest,” he continued at a Press conference for Tuesday’s Champions League clash between Real Madrid and Spurs. “I don’t like to lie. Sometimes I lie a bit to my wife, but not to the media. It’s impossible. I could not coach Barcelona, for many reasons we shouldn’t get deep into. “I hope I stay [for] 10-15 years at Tottenham. If [Levy] wants, I would love to sign that contract,” Pochettino said.